Tape is one of my favorite things to have on hand for kids to use in play. I love painters tape and paper tape and washi tape too! 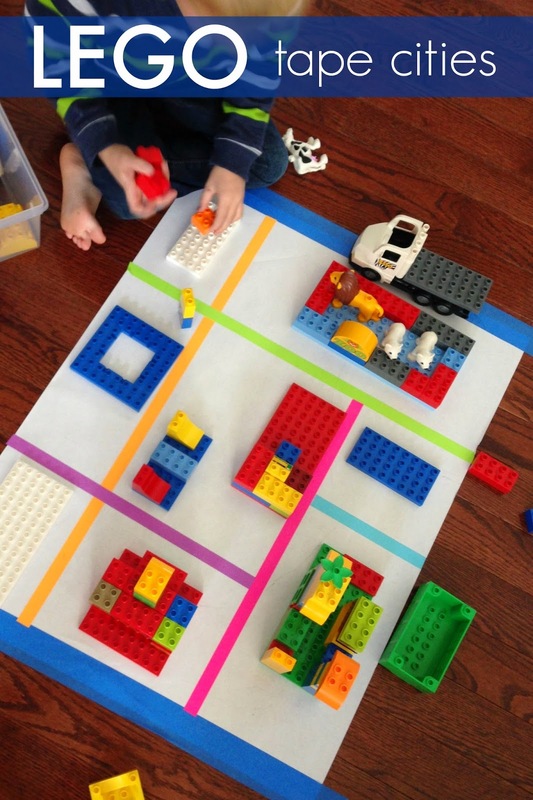 Today I'm going to share a simple way that we like to play with LEGO and tape--- we make tape cities with LEGO!! My kids will literally play with this for HOURS. This activity can be used with 2 year olds on up, but I usually find 4 year olds on up have the biggest attention span for it. We did this activity with our little preschoolers earlier this week and then worked together for about 45 minutes building... and then my kids played with the cities again later in the day for awhile. This is an open ended play activity, so I just put paper down on the floor and secure it in place with painters tape. Next I made some roads on the paper using colorful paper tape. The kids helped pick their colors and where they wanted the tape. Lastly, we put out LEGO bins and LEGO plates around on the paper to help designate suggested places for the kids to build houses or buildings. I love having big LEGO Duplo bins! This one is my favorite. The kids had fun building a police station zoo, office buildings, houses, and several other places. Once their city was somewhat built we added road signs (from Melissa & Doug) and some of our favorite smaller vehicles so that the kids could drive them around. I loved how creative the kids got with the different pieces. We had a playground and a castle and a bunch of other cool places! The kids were so proud of their city creations and would move between different papers to work together with one another. Have you ever created LEGO cities with tape? 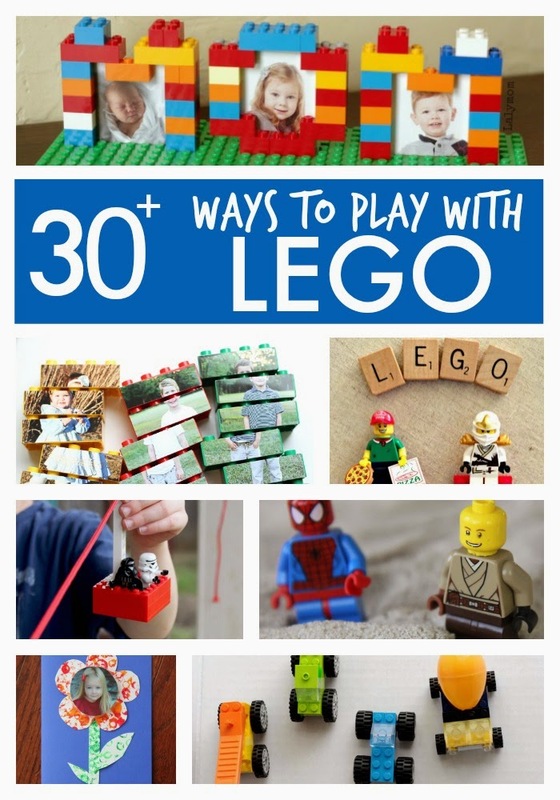 Check out all of our other 30+ playful LEGO ideas if you need more fun ideas to try!